The Charlotte County, Fit for Life Senior Games took place on March 16-18, 2012 at the South County Community Park in Punta Gorda, Fl. 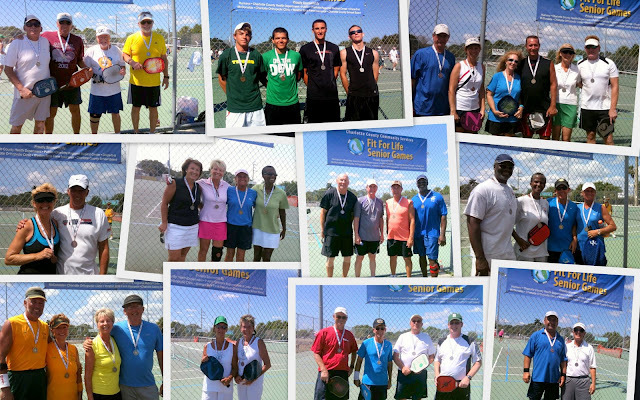 The tournament, directed by Southwest Florida ambassadors, Nancy Meyer and Cindy Eddleman featured singles, doubles and mixed doubles competition. This was a double elimination tournament played best two out of three games to 11 points in the winners bracket. Matches in the back draw were played one game to 15 points.